There is no feeling on Earth like descending out of the sky onto a pristine New Zealand 'back country' river, water like sapphire-tinted crystal, alive with big, hungry trout. From the soft thud of the rotors in the misty dawn, the forest-clad ridges with their skittering deer that race away beneath you, to the heart-pumping anticipation as your chopper settles gently on the stony bed of a beautiful North Island river flanked by primordial forest, with all day ahead of you - just you, the river, the waiting trout. 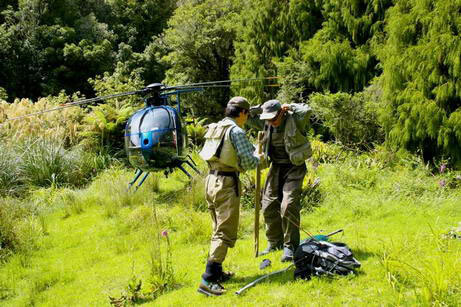 Whether you are an ardent fly fisher or simply a lover of wilderness, a heli-trip into the New Zealand back country, far from the bustle of daily life, is a lifetime experience to be cherished in the memory for years to come. Ken Drummond knows the back country rivers and trout streams as he knows the back of his hand. He has fished and guided them all. He understands their moods, the special places where the big fish lie, the subtle rhythms of their insect life and ecology. Knowledge like his cannot be bought: it can only be earned, painstakingly and with meticulous observance and dedication, over a lifetime. If you've sought the trout of America, Europe or Australia, fishing Taupo in New Zealand you will have fights that will stay with you the rest of your life. You will only have to close your eyes to see vividly again those sapphire waters, forested gorges, big fish tail-walking the rapids... and hear the electrifying scream as the backing leaves your reel. 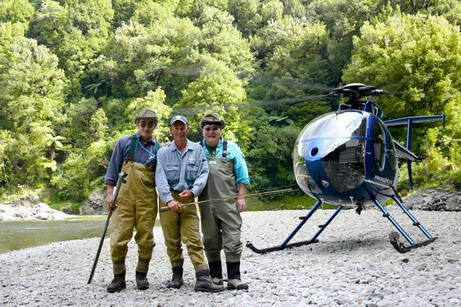 Heli fishing on any of the dozens of rivers and smaller streams of the North Island is - deservedly - regarded by many anglers and fishing writers as the summit of fly fishing on the Planet. It is as remote and beautiful, as secluded and peaceful, as challenging and as rewarding as fishing ever gets. It will test all your experience and skills to the limit and leave you with a fresh love and renewed respect for the magnificent trout and its habitat. A heli trip with Ken is, quite literally, unforgettable. Book now . 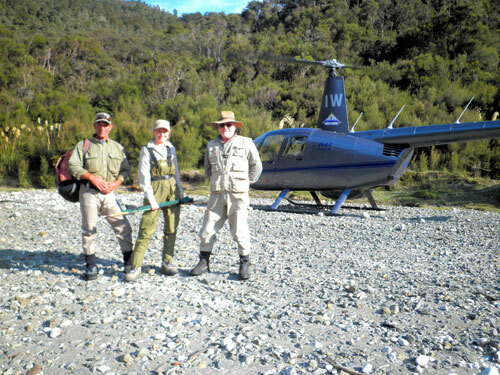 Helicopter trips to the river and back range between NZ$1-2k, depending on distance.